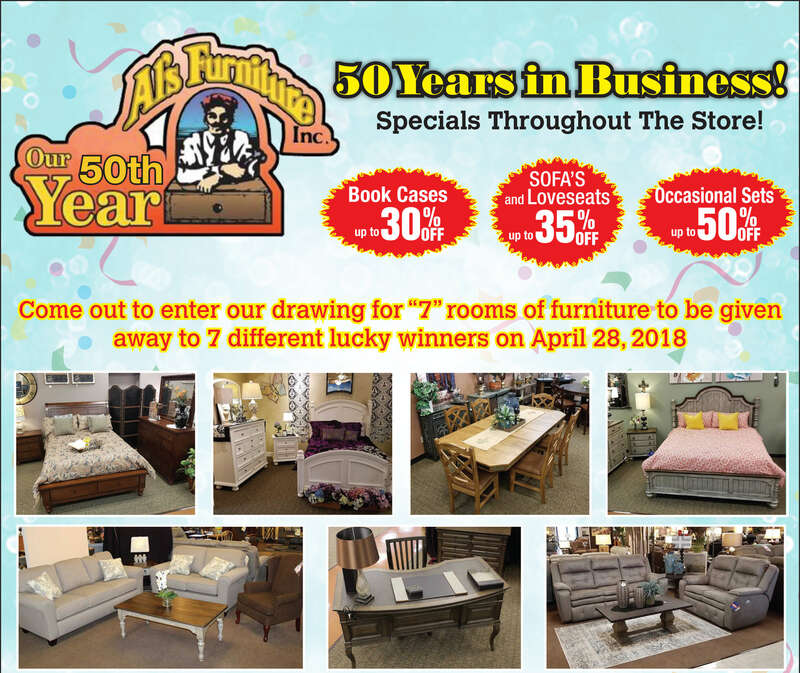 Al’s furniture is celebrating 50 years in business with a store wide sale and furniture giveaway! Win big by entering to win one of 7 different rooms of furniture. All you have to do is come in to the furniture store between now and Saturday April 28th to get signed up. No purchase necessary, but for every $100 you spend between now and April 28th you get an extra ticket towards the furniture giveaway. Drawing at 5pm April 28th. 7 rooms of furniture, 7 different winners! It’s the Al’s furniture 50th anniversary store wide celebration super sale and giveaway, Way out McHenry in Modesto!